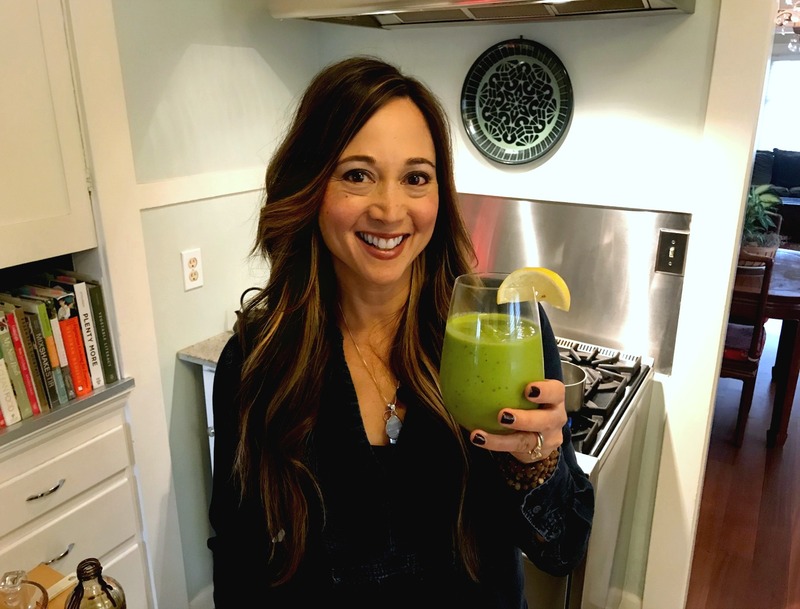 This smoothie gets its inspiration from Indian cuisine, and a boozy mango margarita I used to enjoy at Portland’s old Bombay Cricket Club. The restaurant, along with its legendary margaritas, may be gone — but my love for mango beverages remains. And this time, I’m channeling my craving into a healthier version. In traditional Indian cuisine, mango lassi is made with fresh mango (or puree) and yogurt. This version uses frozen mango chunks because they’re pretty easy to find in most grocery stores. And, to benefit from gut-friendly probiotics — without having to deal with dairy drama — I use non-dairy yogurt such as cashew or coconut yogurt. Sidenote: if you haven’t tried dairy-free yogurt yet, scope out your the dairy case (or non-dairy, as the case may be) at your local grocery. There are lots of great options to choose from these days. The consistency may be different than the full-fat Greek style yogurt I have loved in the past, but the dairy-free alternatives deliver creaminess and good flavor, without the digestive issues that a lot of us can experience with cow’s milk products. OK. Back to the lassi. Instead of using the traditional refined sugar, this recipe calls for medjool dates. I love to use dates as a natural sweetener because they add some fiber along with the sweetness, plus healthy bone-promoting minerals such as potassium, magnesium and phosphorus. Admittedly, traditional mango lassi isn’t made with spinach, but I say: why not? Spinach has such a mild flavor, you’ll never taste the difference. 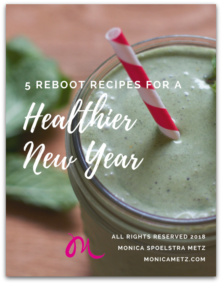 While you’re savoring the this creamy, sweet-tart, dairy-free smoothie, you’ll also be benefiting from spinach’s vitamin K, magnesium, and a whole host of other anti-inflammatory and bone-building nutrients. The Vegan Mango Spinach Lassi is a great alternative to your every day green smoothie. The citrus lends a cheery and bright note — perfect for those mid-winter blues. Fresh coconut water (Harmless Harvest is my fave!) provides a naturally sweet nutty flavor. 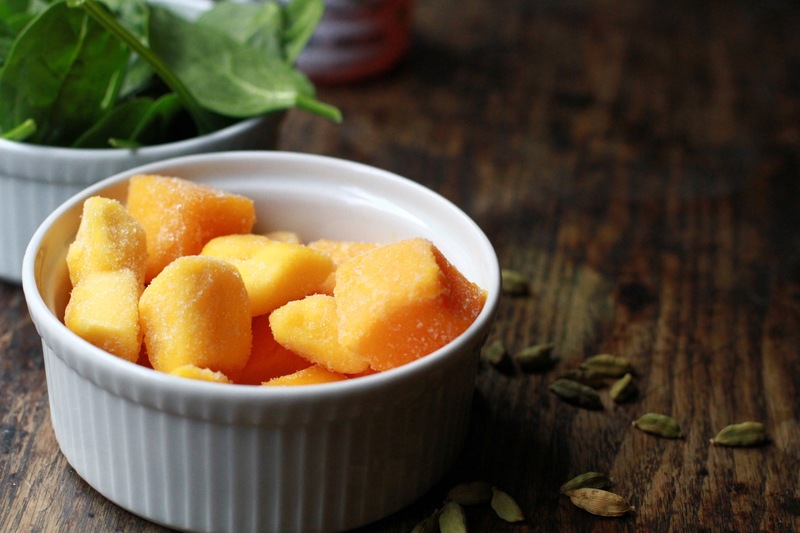 And, a pinch of cardamom transports your taste buds to a different realm altogether. Yep — you get all this nutrition power wrapped up in a creamy, dreamy smoothie! So without further ado, here’s the link to the recipe for my Vegan Mango Spinach Lassi.